Pastor William C. Bass served as Assistant Pastor at Gate of Heaven under the leadership of Bishop J. E. Bass, Sr., for approximately 30 years. 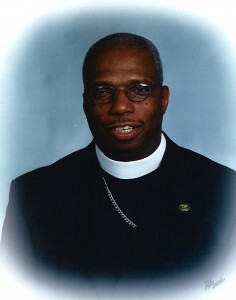 He was elevated to the office of Pastor of the church in 1997 at the homegoing of Bishop J. E. Bass, Sr. He has served as Pastor for the past 16 years. He has exhibited proven leadership abilities and has moved the church forward. He was called the Ministry at an early age and preached his initial sermon in 1960. He is well educated and possesses an undergraduate degree, a masters degree, and a degree of Doctor of Divinity. He believes education is important, but spiritual knowledge and spiritual development are critical to the achievement of successful living. His ministry is geared to developing the whole person, mentally, physically and spiritually. His programs are well rounded and provide focus for development in each of these areas. He currently serves as an Administrative Assistant to Bishop James M. Foster, 1st Ecclesiastical Jurisdiction, Western Pennsylvania and he is also a District Superintendent of the Mon Valley District. He conducts a teaching ministry every Friday and shares insight and wisdom in scriptural truths. He makes hospital visitations and nursing home visitations to pray for those individuals who are sick and shut in. He is energetic and committed to ministry. He believes that no individual life is beyond repair, and he believes that people can turn their lives around through the help of God.